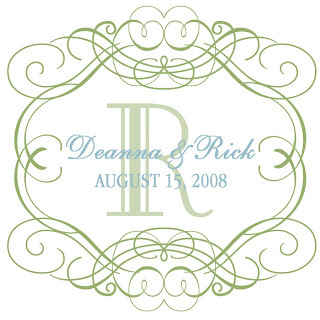 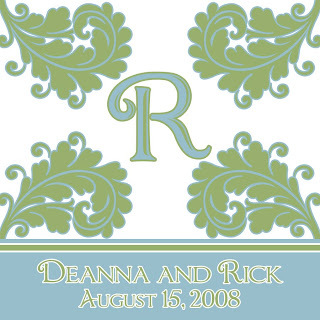 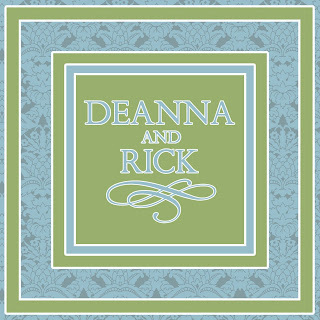 This was actually a second set of monogram designs that I recently created for Deanna and Rick because they decided to change their wedding color palette and also decided that they wanted different designs to go with their new palette and them. 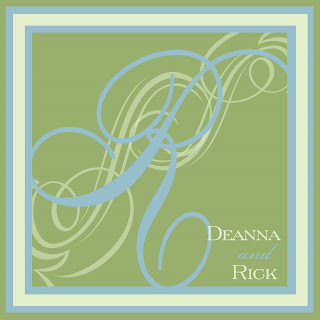 I just love the soft blue and celadon green tones!! 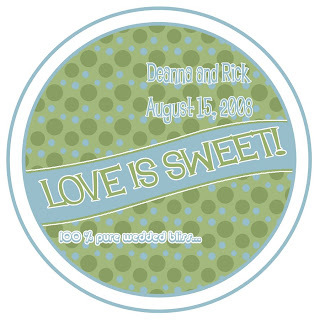 I think my favorite in this set is the Love Is Sweet circle monogram though...so cute and flirty! 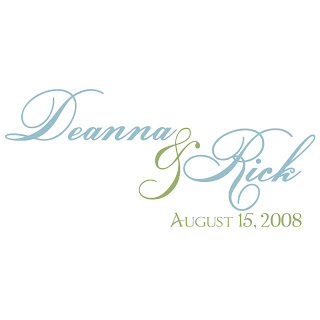 I loved reading the information about the new site that will premiere in the fall of 2008, called Garage Sale Genius, and I am looking forward to going onto that website in the fall, to see what this new, online business is all about. 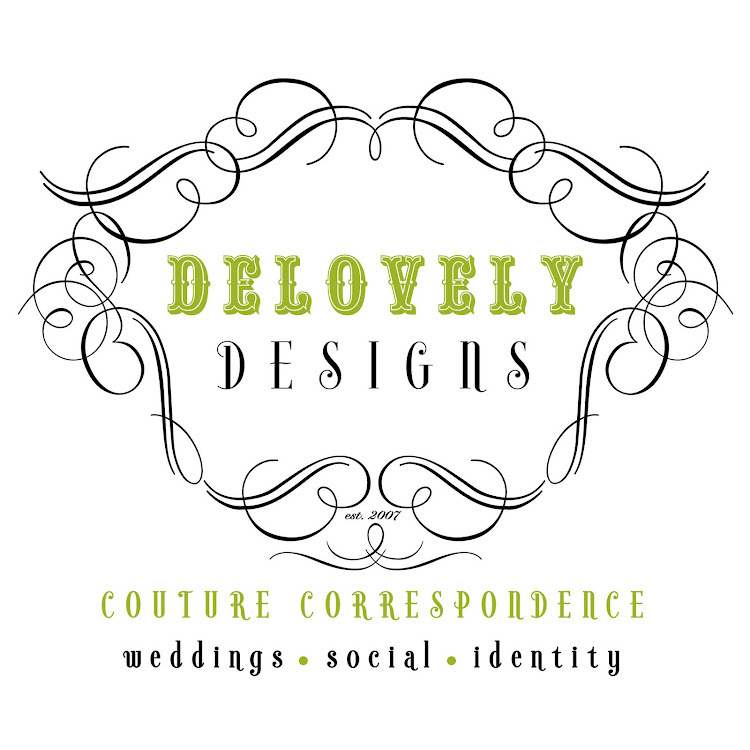 Great job on the website!